Ah, the wonders of technology – I’m probably sat around the pool in Andalucia, sunning myself with a cheeky G&T for company as you read this, as I planned ahead and scheduled this post in advance! If you saw my post ‘Holiday Sewing’, you’ll know that I wanted to make a few new things to wear, so this is the second in the series, so to speak. You may have noticed over the past year of my blogging journey, that colour is a recurring theme – and lots of it, preferably clashing. 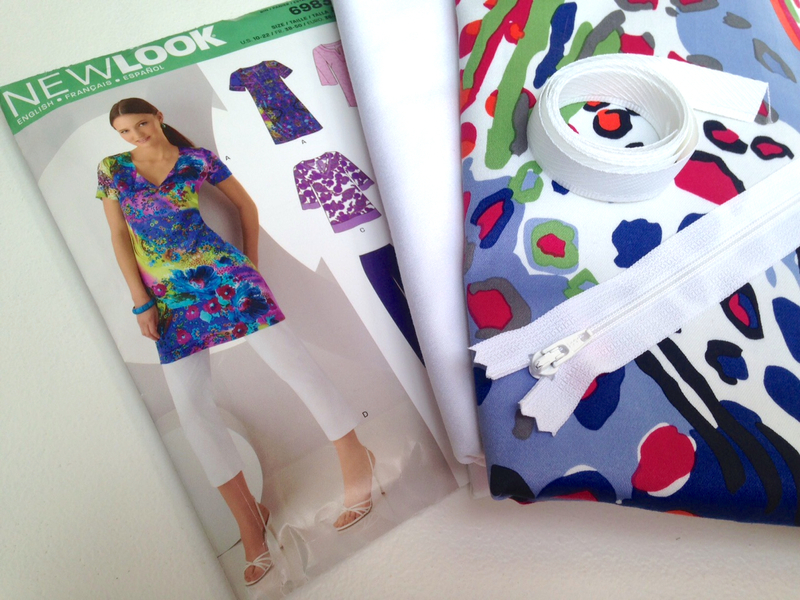 The wackier the print, the more likely I am to want it and, as The High Street doesn’t often float my boat, I source fabrics online to conjure up my own creations. “Where have I seen that wacky animal print before?” I hear you all cry. 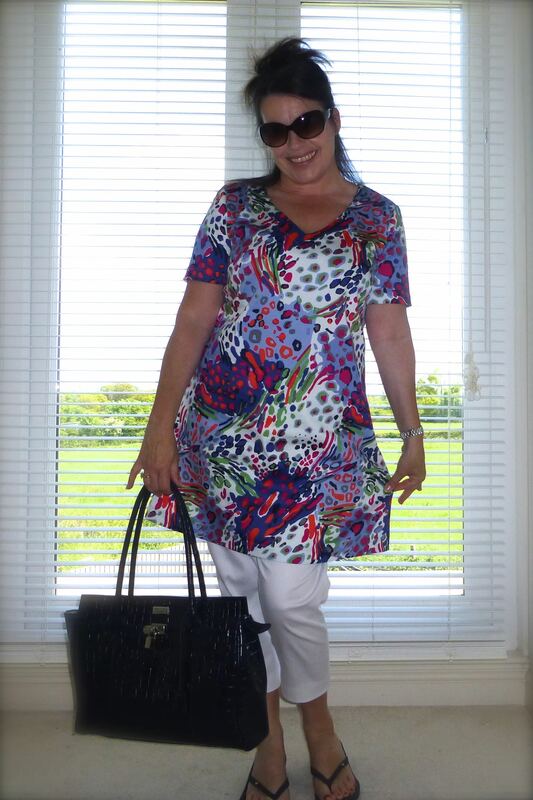 Well, unbeknown to me at the time, Lucie of Love,Lucie had also fallen for its charms and has since used it to make a stunning Summer dress (click here to see the Wow! dress). 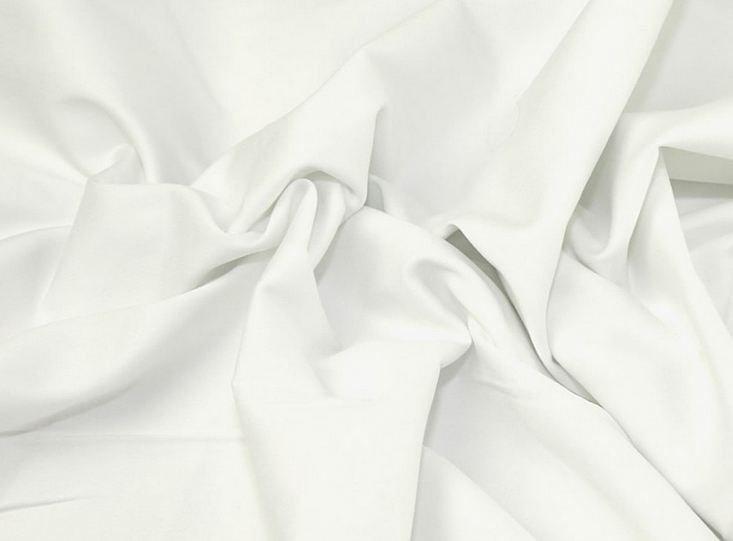 It’s a supremely soft textured Stretch Cotton Sateen which has proved so popular that Minerva are having to restock! 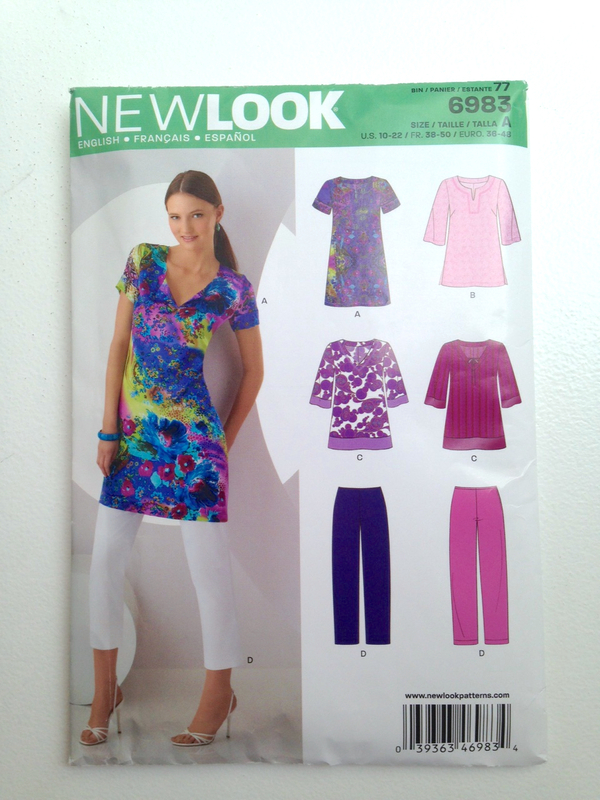 The pattern is New Look 6983 and includes cropped trousers as well as variations on a tunic. 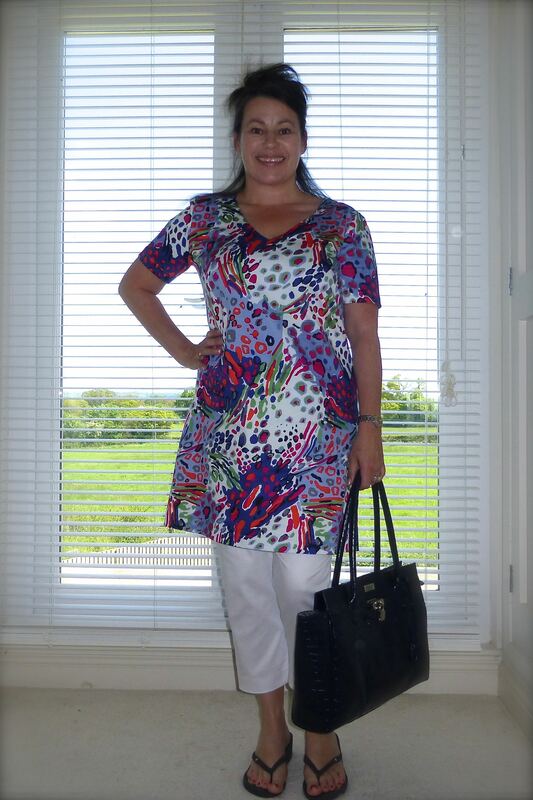 Liking the look of a bold print tunic worn with a pair of Daz-white three-quarter lengths, I also ordered some of the same fabric in plain white. 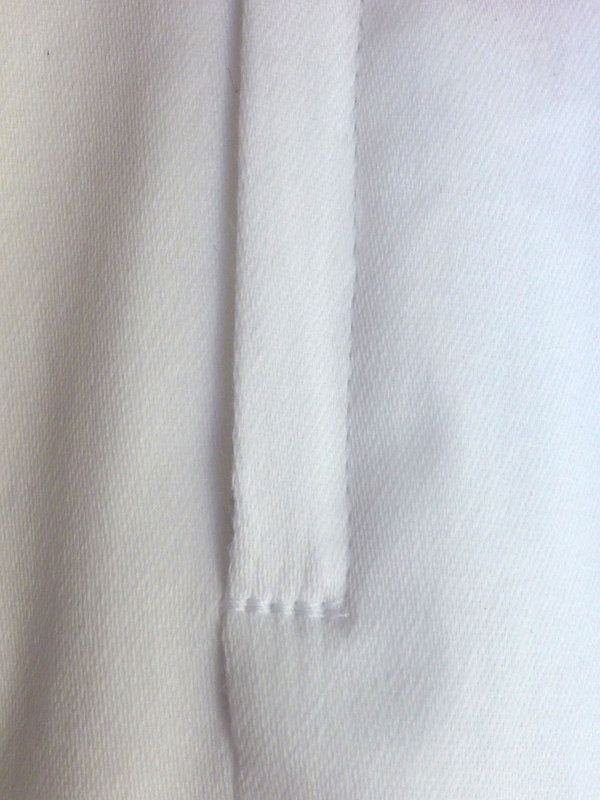 So, onto the construction of the top which consisted of three basic pieces – a front, back (with facings) and sleeves. Shaping was in the form of two bust darts so, really, it couldn’t be simpler for even a beginner to do. 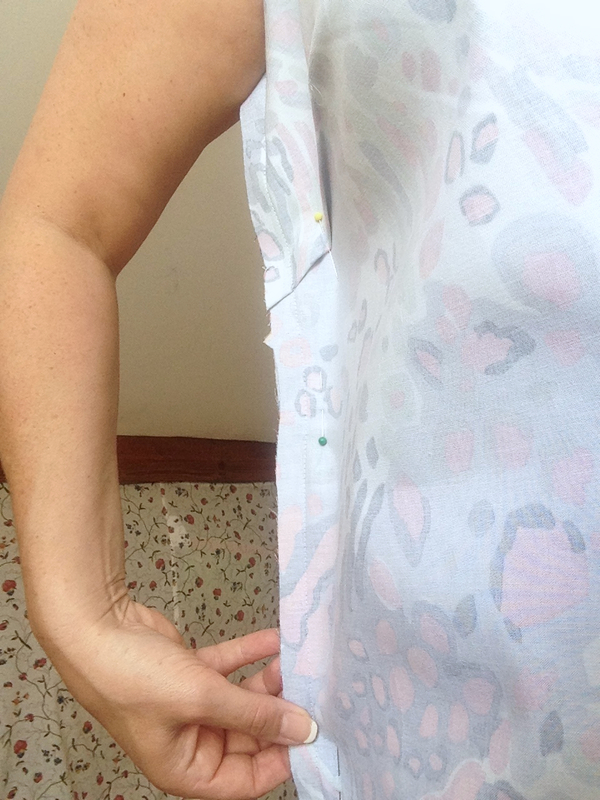 After putting together the basic shape, including the darts, I always try garments on inside out. This way you get a better idea of how well/badly it actually fits without being distracted by the pattern, and you can also pin any adjustments that need to be made. Again, being a UK size 14, I cut out the US equivalent of size 18. 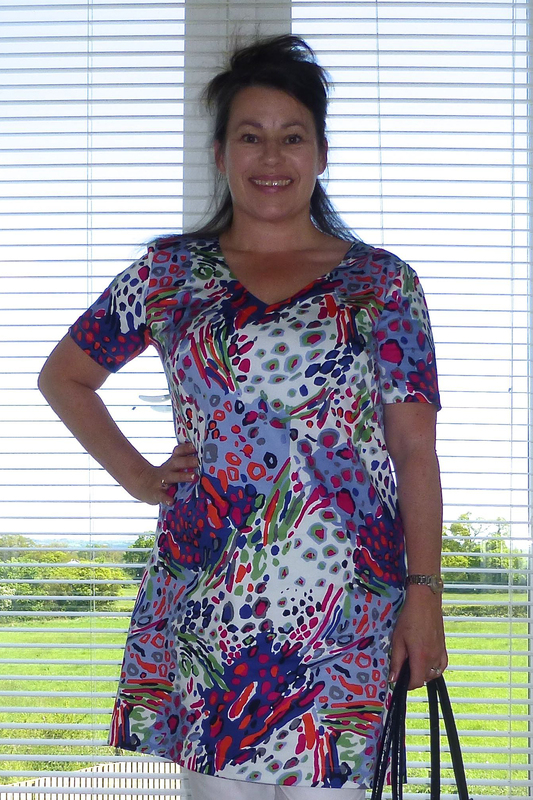 This time, it really was too big by quite a long way and I ended up taking it in all the way by a whole dress size. The pattern is very straightforward but included nice details like understitching of the neck facing to create a neater, flatter finish. The cropped trousers (well, they weren’t until I shortened them by three inches at the “lengthen/shorthen here” mark!) were also too big initially, so I took them in by a whole dress size too. 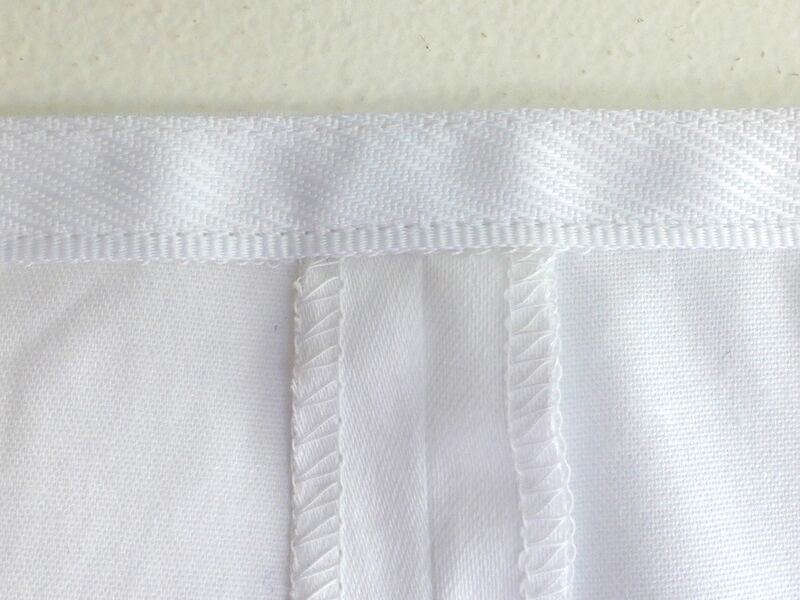 There was no waistband for a change, just a facing of petersham ribbon-type tape which lends a clean, minimal look to the trousers and also makes them super comfortable to wear. 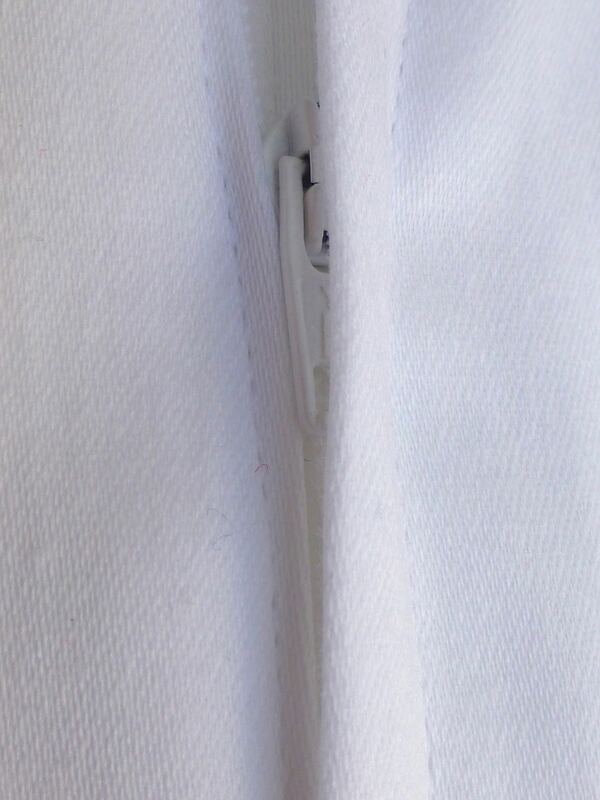 The lapped zip is always a neat addition when inserting into a side seam. 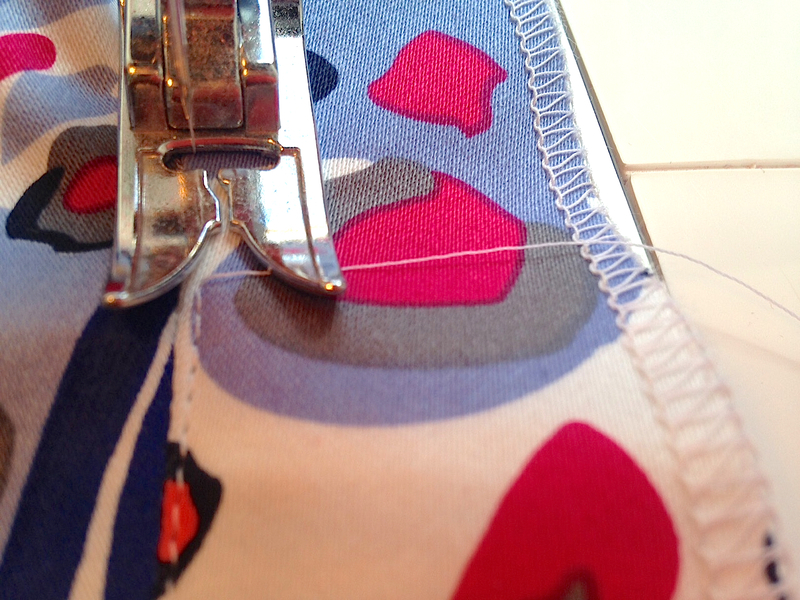 A tip is to reinforce at the bottom with several lines of stitching though, as I’ve done here. They fit well and the stretch in the cotton means that they will be a pleasure to wear – and somewhat smarter than the white leggings that I usually favour! So, how does the outfit look as a whole? 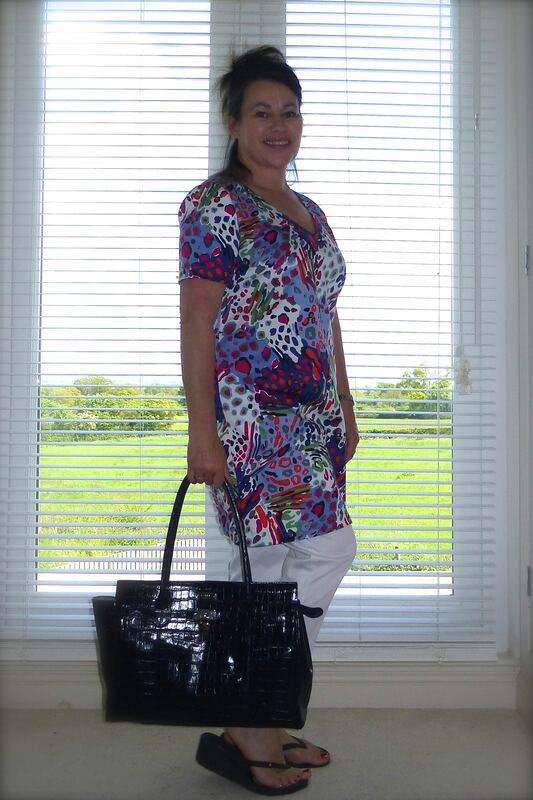 Just as I had hoped, actually and feels even better due to the stretch in both fabrics. The New Look pattern was easy to understand and the instructions simple to follow. The cotton sateen is heavy enough to add structure and the stretch makes for incredible comfort. Sunnies on and I’m ready to go! 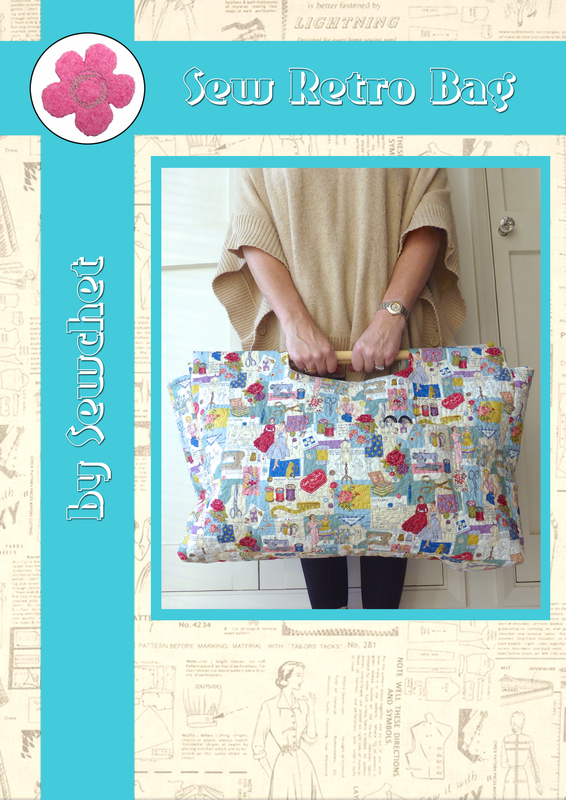 Why not pop over to Minerva Crafts to find your own piece of fabric heaven? Categories: Minerva Craft Makes, Sewing | Tags: cropped trousers, dressmaking, easy top, Minerva, sewing, tunic | Permalink. Whit whoo! You look fab! I loved that fabric when I saw it on Lucie, I recognised it straight away. I think it’d make a great Yasmin Yoke skirt for golf ⛳️. FAB-U-LOUS! What a great outfit. And I know how lovely and comfortable that fabric is to wear.. Have a truly lovely holiday. It IS a holiday print, isn’t it? Wow i wish i could sew! That outfit is amazing! Have an awesome holiday – enjoy those g&ts. You look fab – bet you’re loving wearing it on hols. It is a beautiful fabric. You’re even tempting me to start making my own clothes again. Very nice. Freezing here, although it’s finally stopped raining. Afraid I’m too in love with my yarn at the moment. Excellent! More envious of the holiday knitting time than the sunshine. Just dive straight in with something simple – it’s the quickest way to learn! The outfit is gorgeous, I hope you’re having a wonderful time! 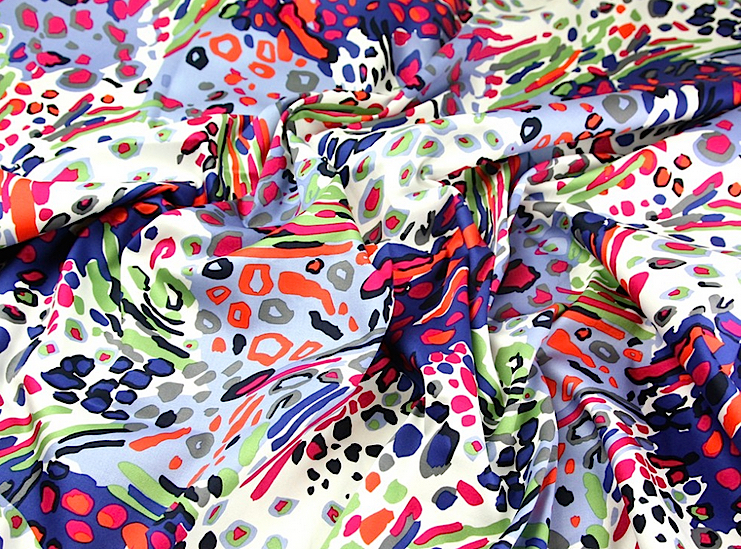 I think it must be my turn to try out this fabric soon! 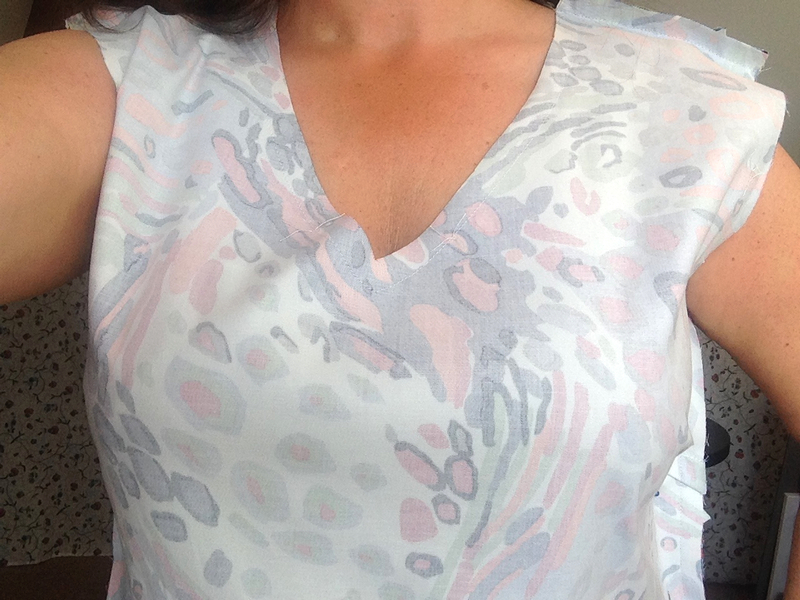 I love the fabric and have worn both outfits (and the one to be blogged about on Wednesday) over here as they’re so comfortable. Thank you, it’s actually a great pattern and one I’m sure I’ll use again. I’m really pleased with the way they’ve turned out.